We are manufacturing and supplying of a qualitative range of UV system for Water and Waste Water Treatment Equipment. We are a big supplier and stockist of Ultraviolet Treatment System for waste water treatment plant. 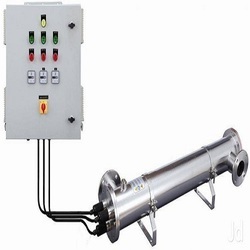 We are the Leading Manufacturer,Trader,Supplier and Exporter of UV System For Water Treatment Plant.